As a long time fan of the Ninja Gaiden series, I was a bit skeptical when I learned Team Ninja was looking to reestablish the series. After it's last showing at TGS left many confused and a bit worried, me included, the developers have taken steps to clear things up and let fans know that the series hasn't forgotten its roots. While fans may still be worried that the developers have taken the series in a direction that will compromise what Ninja Gaiden is known for I can say that the latest is just as fast, furious, and daring as it's predecessors after spending some time with the single-player and multiplayer modes, and even trying out the hard mode setting. The single-player demo begins with Ryu and Agent Mizuki, a new ally to the player, making their way to a ruined city in Dubai. While still fairly early in the game, much has happened to Ryu. His cursed arm had absorbed the Dragon Sword and enhanced his fighting capabilities. Without his sword, he is left to find whatever weapon he can get his hands on. Before the start of the stage, Mizuki gives him a new modified bow with lock-on capabilities. From there, the stage starts with Ryu heading into the city, armed only with a bow. Just then, Ryu is ambushed by guards wielding rocket launchers and riding on hoverbikes. The opening of the stage serves as the tutorial for using the bow. While it should be familiar to fans of the previous games, the lock-on mechanic allows Ryu to pull off trickier shots with ease. When you aim down the bow, a reticule appears on the screen and enemies slow down to a crawl for a brief period, which gives you more time to react. Not only does this give you a tactical advantage, but it also allows you to shoot down incoming rockets. After making quick work of the enemies, Ryu is greeted by Ayane, a returning character from the previous games and the Dead or Alive series. During this cutscene, Ayane gives the player a new katana to wield. Now armed, Ryu heads deeper into the ruins. At this point, it becomes clear the shift in the overall tone of the game. With regards to reestablishing the series, the developers want the narrative to be a strong focus. When you enter the city, the game uses cinematic angles to establish the setting, the barren and weathered appearance of the ruins. During these moments of exposition, Ryu's movements slowdown in order to let you survey the environment and for the story to be told. Many of these moments felt like call backs to the Uncharted series, or other like minded narrative focused action-adventure games. Ryu himself has also become more talkative, and not nearly as brooding as he was in the previous games. While this may urk some long time fans, it does give him much more character and a much larger presence in the story. Plus, he's still just as badass as ever. After venturing further into the stage you come across another ambush with more soldiers, which jumps into the first fight with the new sword. Combat is just as fast and fierce as it was in the past. Agility, defense, and decisiveness are still very much the corner stones of the combat, but those aspects of battle are only matched by the sheer cunning of your enemies. The opponents you face still put up a good fight, but Ryu has a few new tricks of his own. Ryu's cursed arm absorbs energy through the carnage and violence of battle, which will build power toward his ultimate attack. Once his arm is glowing red, Ryu will launch into a powerful attack that will send him teleporting around the field and dispatching enemies in a single strike. 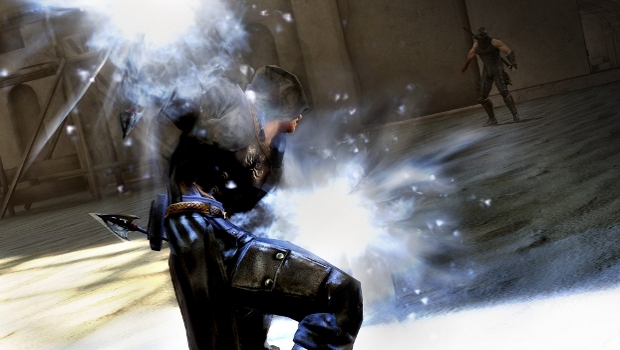 This move is an evolution of the ultimate technique from the previous games, which required power orbs from fallen enemies for use. The orb mechanic has actually been removed altogether in favor of building up energy to keep players in the moment of battle. The presentation in how Ryu cuts down his enemies is now a larger focus in terms of both narrative and in the feedback of combat. 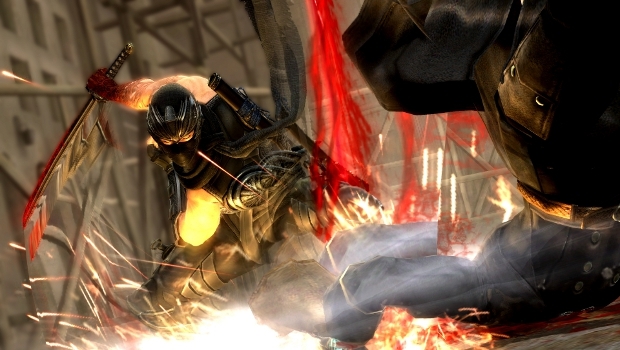 Team Ninja calls this new aspect of the combat "steel on bone". While it gives off the idea that you enter a QTE sequence (which many thought at the TGS demonstration), it's much more of a visual impression. They opted to enhance this visual and cathartic moment in the deaths of the enemies to give players the feeling of cutting into a person, which explains the removal of the decapitation/dismemberment system from the previous games. This small moment in combat felt very satisfying, especially when up against a tough enemy. The Ninpo (ninja magic) has also seen some changes. Instead of having to use items to recharge your Ninpo, Team Ninja has opted to just focus on your performance during fights to recharge your usage. Ninpo magic does much more than dealing damage to enemies as it can heal your wounds as well. This not only gives it a much more strategic use, but it also creates a risk-reward system for it. Should you use it to summon a giant flame dragon to take out a group of enemies, heal your wounds, and finish off the rest on your own? Or should you save it, and let your full Ninpo gauge heal you after battle. It definitely puts an interesting spin on the use of Ninpo, and it made me think more on what I exactly I should be using it for. Throughout the stage, Ryu has to take advantage of his ninja training to traverse the ruined city. Wall running/jumping both make a welcome return, but a new feature shown in the previous demo back at TGS was the Kunai Climb. Using his kunai (ninja daggers), Ryu will be able to climb vertical surfaces to get to his destination. To be honest, I found this feature to be a bit jarring, in couple different ways. While there were on screen indicators to tell you which buttons to press, it was difficult to tell that you have to actively alternate between the trigger/button prompts on screen. Plus, it just feels a bit slow. I mean this is a ninja who can run up walls and possesses enhanced agility that no normal man has. I feel like there could've been a better way to show off vertical traversal, instead of something that just slows the overall pace to a crawl. Scattered throughout the stage is the presence of Ryu's falcon. 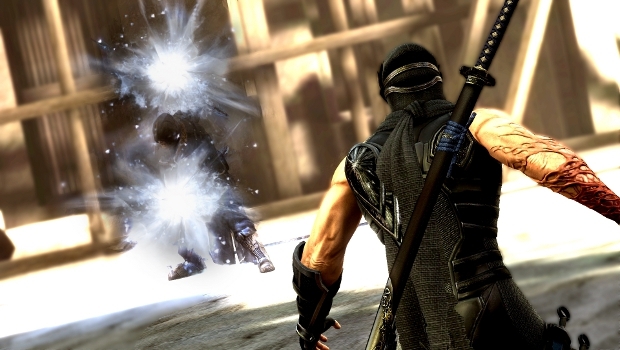 The falcon serves as the save point for Ninja Gaiden 3, but also serves a narrative focus for the character. Like I mentioned earlier, the narrative is a strong focus, and much of the game has been streamlined in order to tell a tighter, more grounded story. Moreover, checkpoints have been added to keep players having to repeat chunks of story should they fall in battle without saving earlier. Towards the end of the demo, Ryu comes across a new enemy type that focuses on magic and grappling attacks. These guys were easily the toughest enemies that the demo had to offer, and they made a point of showing the player that similar tactics used on enemies from earlier weren't going to cut it this time. The enemies were immune resistant to weak attacks and projectiles, leaving the player to use the strong, heavy attacks to open up their defenses. 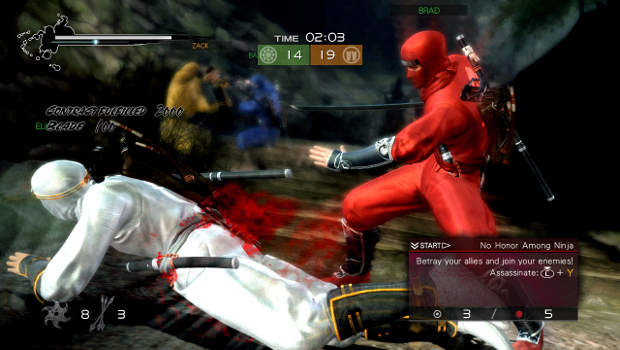 After finishing the demo, staff members from Team Ninja recommended everyone on hand to try the Hard Mode, which was unveiled for the first time. 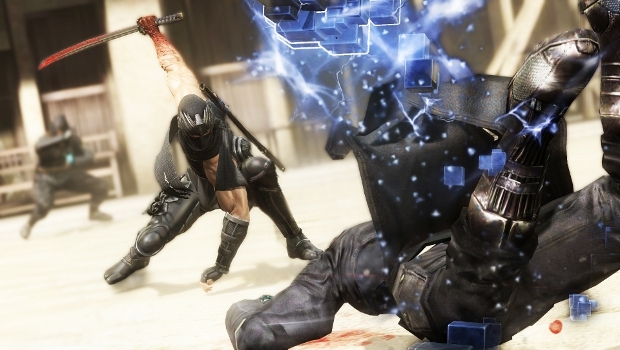 After giving it a shot, I can honestly say that Team Ninja hasn't skipped out on offering a challenging game. Even on the Normal setting, the difficulty was still pretty fair and offered much resistance. However, the hard mode felt almost entirely different. Not only did they double the enemies thrown at you, but the AI went from manageable to just down right vicious. Moreover, the difficulty of this mode made the much touted presentation of the enemy death sequences fell all the more satisfying. It was quite a surprise to see how certain areas I cleared with ease in the previous setting turned into death traps on hard mode. Fans of the sheer challenge of the previous titles will not be disappointed. 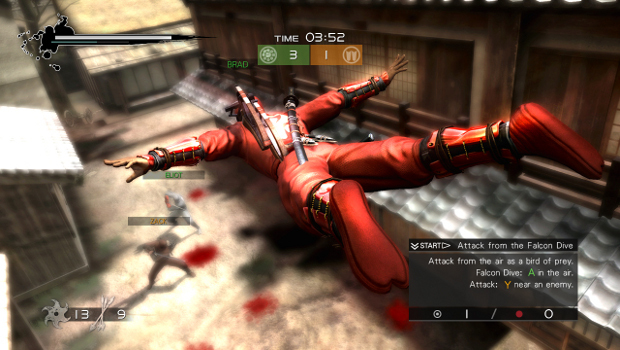 Team Ninja also unveiled their brand new multiplayer mode. Their goal was to bring the fast paced action oriented gameplay into the competitive online arena. Described as a "world of ninjas," players will be able to create and customize their own ninja characters, and meet other players to compete in four-versus-four team battles or eight-player free-for-all matches. The concept of the new mode is quite novel indeed. You create your own ninja, level up, and acquire new gear and weapons for him to use. The modes demonstrated were classic multiplayer staples such as team deathmatch and free-for-all mode. Obviously, players will either be placed on teams to compete for kills or go out on their own to end on top. Control wise, your ninja is essentially a weaker version of Ryu Hayabusa, and only possess a limited number of shurikens and arrows. However, they still have access to the same moves, techniques, and Ninpo that Ryu has keeping every player on a level playing field. Unfortunately, the multiplayer mode wasn't without issues. In terms of sheer design, the fast paced nature of the combat did not take into account the structure and pace of multiplayer matches. The one-on-one DNA of the combat didn't seem to jive too well with the mass nature of multiplayer. Not to mention, most matches consisted of players converging to the center of the map and creating this one giant crowded brawl. And no, it didn't look particularly cool at all. It was neat at first, I actually got caught up into a chase with another player on the rooftops that led to me finishing him off with an Izuna Drop on the ground below, but then the tedium and sloppiness sets in after those brief moments of brilliance are gone. What's worse, there were severe technical issues hampering the matches. Not only in terms of lag with connection and frame-rate, but also with lag of the button inputs. There were points where you have to mash buttons to escape from enemy killing blows, but because of the lag it made it almost impossible to escape from. Plus, the "bone on steel" aspect of combat looks very awkward during matches. It looks awesome when you're doing it to an opponent, but when you're watching it happen with different players right it front of you, it looks a bit bizarre seeing two ninjas moving in slow motion during the death animation. Especially when teammates awkwardly try to break it up, which they're not able to do by the way. Perhaps things will turn out better for the multiplayer once the technical and balancing issues will be ironed out, and also when the specifics of the unlocks and depth of customization will become more clear. It's a welcome feature to have with the game, and there's a ton of potential there for growth within the community, but from my experiences with the new gameplay mode, it just felt a bit uninspired. Here's hoping they can get it to work out by the time of release. Overall, I was quite impressed with how the single-player turned. 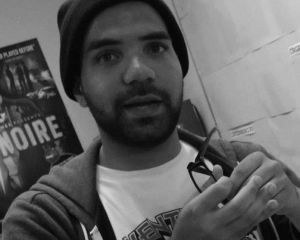 The focus on having a stronger narrative got me a little worried, but I really enjoyed what I got in my hands. I feel that the more grounded I feel that the the removal of the upgrade system, orbs, and static save points will still leave fans a bit worried all the way till release. 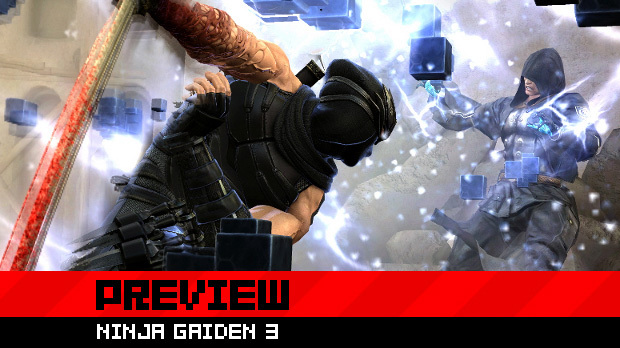 But as a fan of the series, I can say that the single-player for Ninja Gaiden 3 definitely holds it's own. Team Ninja has set out exactly what they wanted to do in trying to reestablish the series and bring it into a new light. At the same time, they've done much to preserve what many value in the series. Hopefully, they can get certain aspects of multiplayer ironed out before release.